This year our theme is "Prepared to Lead" with a focus on Ephesians 2:10. 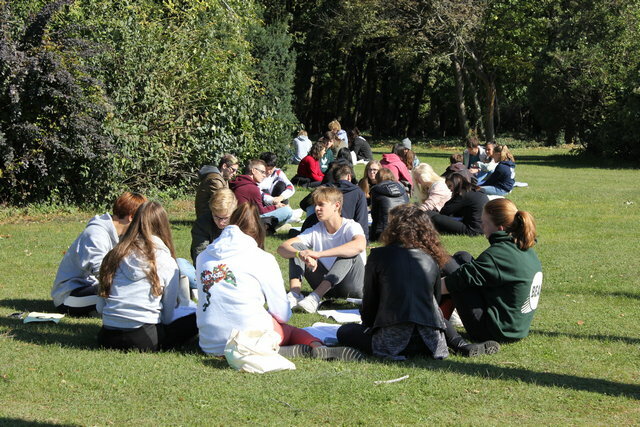 Plenary speakers provide teaching in the main sessions followed by student discussion groups, 3 workshop sessions that focus on leadership application and plenty of time for interaction and fun in a beautiful and comfortable setting. This is a unique opportunity for secondary students to grow in their faith and in their leadership skills, and to fellowship and worship together with like-minded young people from many nations. The conference location for 2019 will be at a Christian ministry center in Vajta, Hungary. ACSI will provide 2 conferences dates to match your school's availability and preference. We will do our best to ensure a good balance between Eastern and Western European schools as well as between national and international type schools. NOTE that space may not be available for your group on your preferred dates because of high demand, so REGISTER EARLY! SLC now runs the same program in 2 consecutive weeks. The conference begins with check-in on Wednesday, from 2:00-5:00 pm. Dinner begins at 5:00 pm followed by the evening program and activities. The conference will end with the evening session on Friday. Register and pay by June 15 to receive the early registration discount. Registration closes on September 9. This year we are opening SLC for younger students to attend while ensuring that the experience for the upper grades is of the same quality and depth. The number of younger students at each event will be limited and provide separate activities, workshops and discussion groups designed specifically for their needs, introducing them to the foundations of biblical leadership and the character qualities on which to build. Space is limited for this program! We ask that any school sending students for this program provide a chaperone dedicated to this group. We also provide training for your older students who want to work and lead activities and discussions with the younger students. High school students who want to serve in this program will need to register for training here. It is very important to begin your student selection well in advance. Please consider now how this will be done so that it most benefits your students and your school as a whole. The graduated pricing serves to encourage schools to think about selecting students early so that they will be better prepared for this event. We have many ideas for helping you prepare your students for SLC, many of which are available in the document "SLC Preparation Guide". We want each student to get the most out of this event, which can only happen with your excellent support, teaching and prayer. 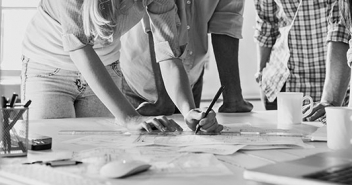 NOTE: We require contact information for student discussion leaders because they must participate in a short online training course BEFORE the conference (more information available in the Preparation Guide). REGISTRATION online (from April 1st). - You must have an active ACSI school membership or a special invitation to register. *Partial scholarships are available for some ACSI schools of central and eastern Europe. Chartered busses will leave from Népliget metro station in Budapest and from the Liszt Ferenc Airport on WEDNESDAY. Return busses to Budapest are by RESERVATION ONLY. 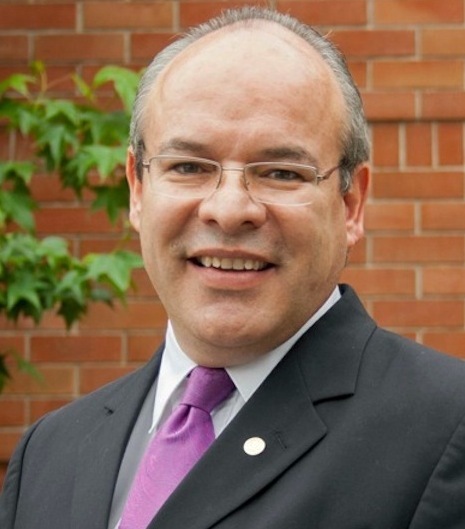 Estuardo Salazar, M.ED., is the Continental Director for ACSI Latin America since 1990, responsible to provide strategic leadership to the team who produces and offers resources, programs and services to Christian schools and educators in Mexico, Central, South America and the Caribbean. Honorary pastor of El Camino Bible Church in Guatemala City. Undergraduate degree in Theology, Masters degree in Educational Leadership from Regent University (in Virginia, USA) and completing a doctoral degree in Organizational Leadership from St. Paul University in Guatemala City. Happily married for 34 years with Mrs. Sheny Salazar who also serves at ACSI. Frank Cirone is originally from Rhinebeck, New York and attended Capernwray Hall in England and Holsby in Sweden. 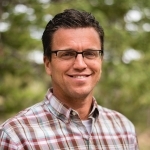 Frank graduated from Philadelphia Biblical University with a BS in Biblical Education in 1989 prior to joining the staff at Ravencrest Chalet in Estes Park, Colorado. He holds a Master’s Degree in Christian Leadership from Denver Seminary. Frank and his wife, Krista, have four grown children: Andrew, Ben, Isaak and Anikka. Frank is passionate about sharing Christ in any setting and loves connecting with people for coffee. Frank spends time traveling and speaking at various events in the United States and overseas and always enjoys adventuring in the Rocky Mountains, especially with Krista. 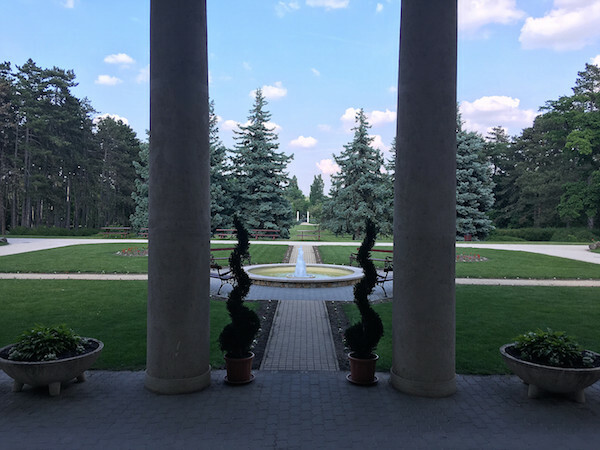 Location: SLC takes place at a Christian conference center in Vajta, Hungary. This allows us to serve many schools and participants in a beautiful and comfortable setting about 1:30 hours from the Budapest airport. See their Website. Transportation to the conference site is available by public bus or train from Budapest. We also contract charter buses to transport groups from the airport or Népliget Metro for an extra fee. On-line registration: SLC registration is available on our website beginning April 1st. Please use your school's membership code (sent to your school's e-mail) to begin the registration process. The cost of the conference includes housing for 3 nights, all meals from Wednesday evening through Saturday breakfast, activities, snacks and conference fees.